Submitted 1 year 3 months ago by feeds user. In Stock. Want it tomorrow, Jan. 5? Order within 6 hrs 15 mins and choose One-Day Shipping at checkout. Details Sold by cvlife and Fulfilled by Amazon. Gift-wrap available. Screen Size: 22mmx33mm;Weight: 130g; Length: 82mm Reflex Sight Reticle Type: Circle Dot, Cross, 10 MOA & 3 MOA(Red and green illuminated) 4 reticle patterns offer unlimited eye-relief and corrected parallax Allen Wrench included helps you adjust elevation and windage easily. 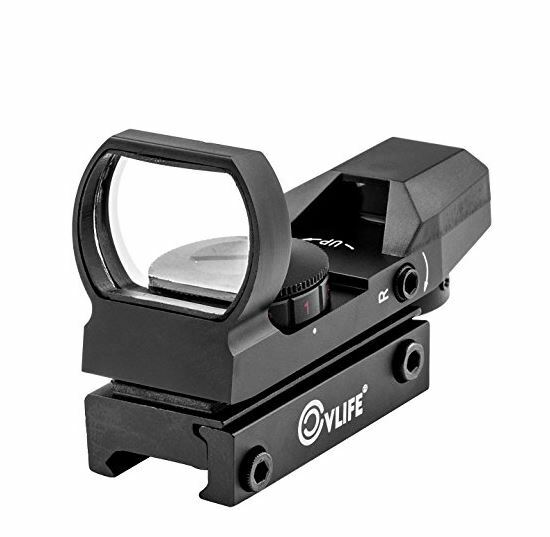 Made of high grade Aluminum Alloy, the dot sight is durable and Light weight.